Touring caravan insurance industry encouraged by fall in caravan crime, but warns touring caravan insurance is more essential than ever. The number of thefts of touring caravans in the UK fell to an estimated 1,400 in 2008, from a one-time high of 5,000 per year, according to new figures released by the industry trade body the National Caravan Council (NCC). Improved security technology across the board is believed to be the main factor for driving thefts down for the fifth consecutive year. The NCC believes the major factor in driving down the number of caravan thefts has been the overwhelming uptake of the Caravan Registration and Identification Scheme (CRiS), which the NCC set up in 1992 to combat spiralling caravan crime. 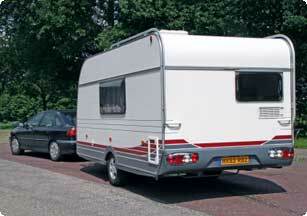 CRiS is a voluntary scheme which keeps a register of every touring caravan manufactured by NCC members via a unique Vehicle Identification Number (VIN). Through the issue of a Keeper Registration Document, the system acts as a comprehensive first line of defence against illegal sales of stolen touring caravans by dealers and private sellers. The NCC cites a greater awareness of the need for security among owners and advances in security products such as immobilisers, wheel clamps, hitch locks, alarms and tracking devices as also contributing to the consistent fall in the crime rate. In as little as 5 years numbers of thefts of touring caravans have fallen by over two thirds, with the figures even taking into account estimates for unreported and uninsured losses. However, industry chiefs warn that although very encouraging, the figures could lead to a false sense of security amongst owners, and warn that the best way to protect your caravan is to stay abreast with security innovations and take out comprehensive touring caravan insurance. They also remind owners that many touring caravan insurance providers now require CRiS registration before they will issue a policy.